Shake with ice and strain into a chilled (5 ounce) cocktail glass. Very tasty, but tricky with regard to the amount of Pimento Dram and simple syrup. Ted Haigh recommends 3/4 ounce or less of the allspice dram, Robert Hess and Paul Clarke recommend half an ounce. I chose the latter. Don’t get me wrong, I love the stuff, but it can very easily take over a drink. Buffalo Trace was the choice here because I needed a bourbon with a bit of oomph, and I figured that it would hold up better than my very smooth Black Maple Hill. Here the bourbon and allspice manage to equal each other in what amounts to a lovely Autumn drink (here I am getting ahead of myself seasonally again). Future experimentation would involve reducing the simple syrup to 1 teaspoon. However, the heavier amount is in perfect keeping with Jay Hepburn’s comments on Bitter Truth’s Pimento Dram: since it has more edge, more sugar is required to balance it out. Finally, some of you may be wondering what in the world pimento dram is. No, it has nothing to do with olives. It is, in fact, an allspice liqueur made by steeping dried berries in rum and sugar. As Ted Haigh explains, allspice, a peppercorn of sorts, was first encountered by the British in the 17th to 18th Century. The Jamaican islanders they met called it pimiento in Spanish (the Spaniards controlled the island from 1509 to 1655), and thanks to English naval jargon the name was anglicized to pimento. Noticing that it contained the flavors of a number of spices–cinnamon, nutmeg, mace, and clove–the English christened it allspice, the primary flavor of all those pumpkin pies that you’ve eaten over the years. Though it remains infrequently used in cocktails, a number of Tiki drinks and early cocktails require it. You can make your own with Paul Carke’s recipe while comparing it to two additional recipes formulated in the days of the great pimento drought. Or, if you’re a little more impatient, purchase one of the two brands that have hit the market: St. Elizabeth’s Allspice Dram, from Eric Seed’s excellent company Haus Alpenz, or Bitter Truth’s Allspice Dram. I’ve sampled both, and the Elizabeth’s is a tad smoother. According to Haigh, Wray & Nephew continues to make a pimento dram which appears to be spottily imported. Regardless, this allspice liqueur continues to be a mail-order item. Good hunting! 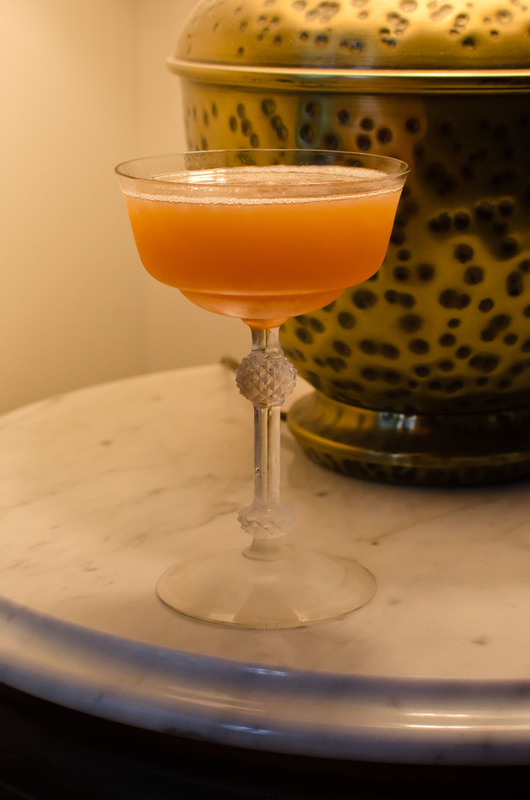 This entry was posted on July 24, 2011 by IJ Lauer in Angostura, Bourbon, Drink Recipe, Pimento/Allspice Dram and tagged allspice dram, angostura, bourbon, cocktail, drink, lime juice, lion's tail, pimento dram, recipe.